The Second World War went beyond previous military conflicts. It was not only about specific geographical gains or economic goals, but also about the brutal and lasting reshaping of Europe as a whole. Theatre in Europe Under German Occupation explores the part that theatre played in the Nazi war effort. Using a case-study approach, it illustrates the crucial and heavily subsidised role of theatre as a cultural extension of the military machine, key to Nazi Germany’s total war doctrine. 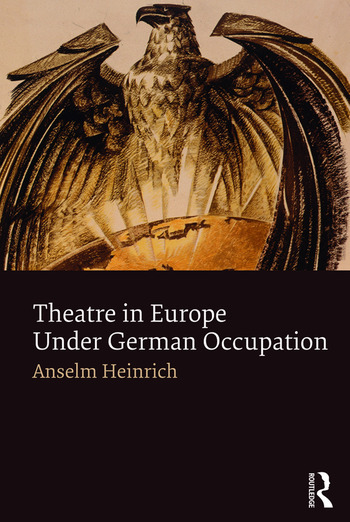 Covering theatres in Oslo, Riga, Lille, Lodz, Krakau, Warsaw, Prague, The Hague and Kiev, Anselm Heinrich looks at the history and context of their operation; the wider political, cultural and propagandistic implications in view of their function in wartime; and their legacies. Theatre in Europe Under German Occupation focuses for the first time on Nazi Germany’s attempts to control and shape the cultural sector in occupied territories, shedding new light on the importance of theatre for the regime’s military and political goals. Anselm Heinrich is Senior Lecturer of Theatre Studies in the School of Culture and Creative Arts, University of Glasgow.